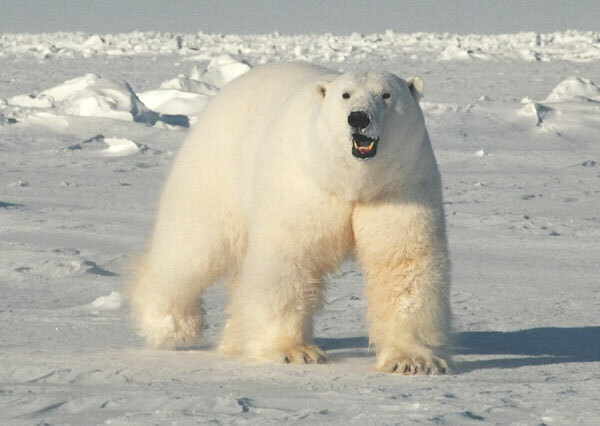 Oddly, it seems some people expect polar bears to sit around and suffer (or die) when local conditions deteriorate, rather than move elsewhere. While there are perhaps a few places where moving is not really an option over the short term, over the long term (more than one season) polar bears are free to shift to another locale if ice conditions change (either too much ice or too little). An announcement by the WWF last week (10 April) caught my eye, as it talked about bears moving from one area to another because of changing ice conditions — as if this was surprising, extraordinary and newsworthy. That said, at least they weren’t suggesting the bears are all going to die because of declining ice, which is a huge improvement.